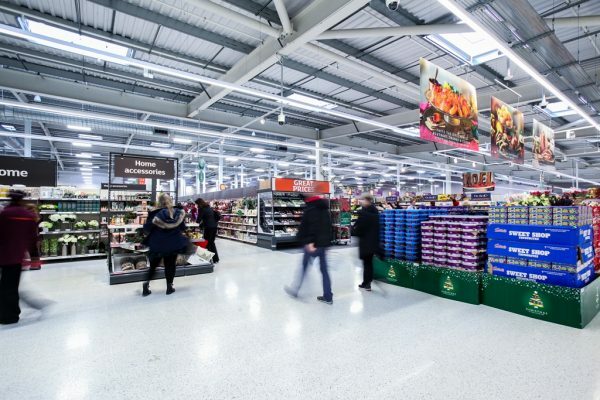 Works have completed on a new 12,221m² superstore for Sainsbury’s in the London Borough of Sutton designed by The Harris Partnership for LXB Retail Properties Plc. The initial store development features a two-storey glass atrium main entrance which is also the key focus of a large, new public square designed by Vector Design Concepts with water features including reflective pool and water wall with shops and restaurants lining the square. The wider Sutton High Street streetscape has also been significantly enhanced with new active frontages and hard and soft landscape elements creating a high quality public realm for day and night users. 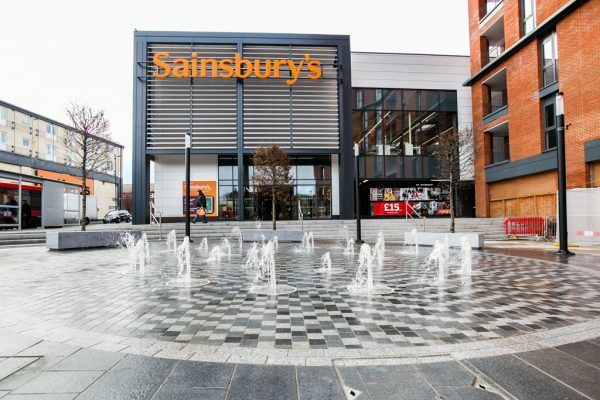 Major road improvements to the junction of Crown Road and High Street have unlocked the site, improved traffic flow in the area and provided access to Sainsbury’s 350 space car park. The new store anchors a £50 million retail and residential redevelopment in the town centre which includes associated residential and commercial development and plays a key role in local government regeneration plans for the town which has been identified as one of the 11 metropolitan centres in the Mayor’s London Plan.